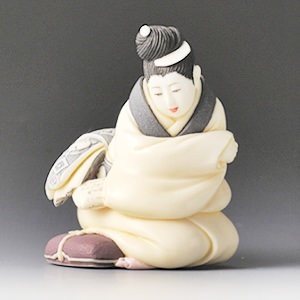 A netsuke is a Japanese traditional handicraft. They are very small objects but are elaborately made. Originally, netsukes are invented in 17th century for decorations for kimonos (refer to #007) and inroes (refer to #224). Later, netsukes became famous and popular especially among visitors to Japan from abroad. 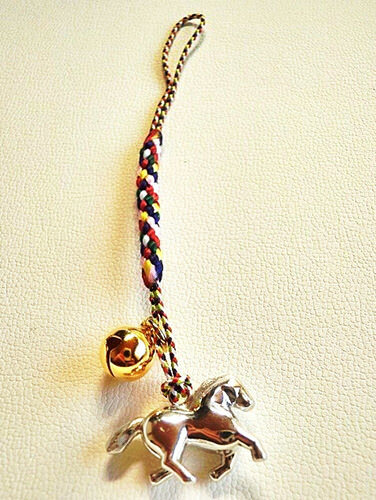 Many people in recent years tend to appreciate them as handicrafts rather than as decorations and buy them for souvenirs. Also, netsukes are regarded as the origin of cellphone straps.